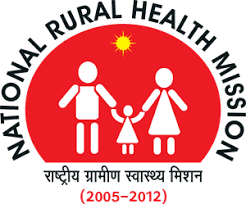 NHM Jalan Recruitment 2018 15 Block Accountant, Staff Nurse Vacancy of 15 Block Accountant, Staff Nurse on its official website nhm.gov.in. Eligibility criteria, Educational Qualifications, Age limit, Selection process, Pay scale and other required details are mentioned below in www.Tamildps.in. So candidates who are interested and eligible can apply Offline before the last date of the Notification i.e., 13-07-2018. other Details Like education qualification, age limit, selection process, application fee & how to apply, important links, syllabus, admit cards, results, previous papers are given Below. Interested candidates those want to apply for NHM Jalan Block Accountant, Staff Nurse posts should have completed B.Com/M.Com Graduate from Recognized Board/University. For Detailed Eligibility please go through Official Notification. Eligible and Interested Aspirants are requested to Download Application Form from Below link of nhm.gov.in Website and Submit it to the mentioned Address before the Last Date i.e., 13-07-2018. Chairman, District Integrated Health and Family Welfare Society, and Chief Executive Officer, Zilla Parishad Jalna.